Ateliers deMonaco, watchmaking manufacture, first launched its La Sirène timepiece in 2009. 9 years later, the brand offers its leading lady a beautiful new Champagne look for the festive season. This delicate piece offers a perfect balance between watchmaking tradition and dazzling beauty. 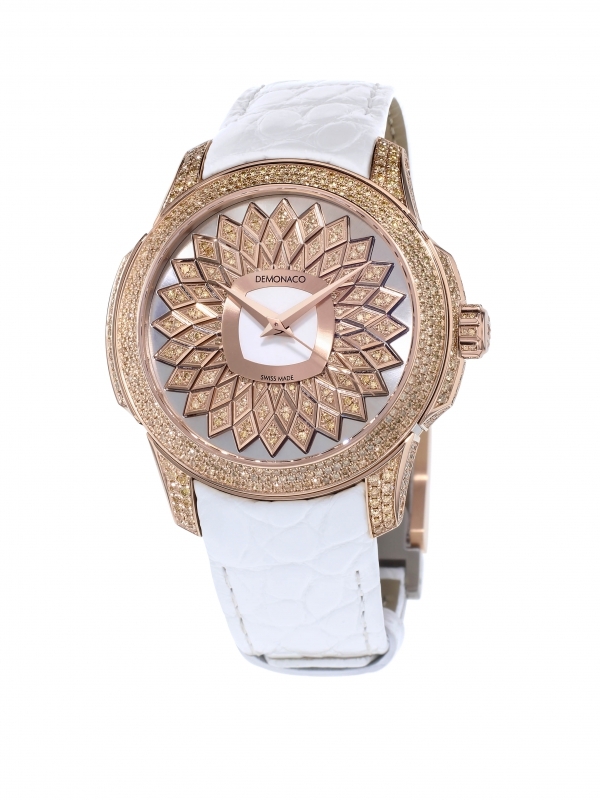 Luxuriously composed of gold and diamonds, this piece of jewellery will bring charm and elegance to any feminine wrist. 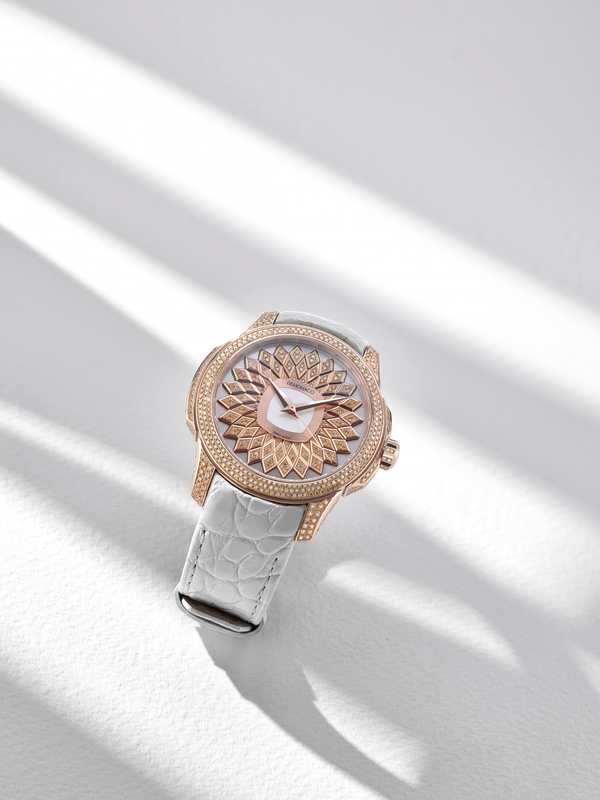 This new timepiece, La Sirène Champagne, is the fourth reinterpretation of the original La Sirène Topaze piece created in honour of HSH Princess Charlene of Monaco. This flagship model of the women’s Ateliers de Monaco collection is limited to 8 pieces only. An ideal and coveted gift for the holidays. This entry was posted in PRESS RELEASES, Uncategorized and tagged #dmc, #or, #watches, 18 carats, 18K, alligator, atelier, ateliers, Ateliers deMonac, beautiful, bracelet, cadran, celebrity, champagne, color, colour, couleur, cuir, de Monaco, dial, Diamant, diamants, Diamond, diamonds, famous, femme, fleur, flower, garde-temps, gold, king protea, kingdom, La Sirène, la sirene champagne, ladies, lady, luxe, luxurious, luxury, magnifique, Monaco, Montre, Montres, mother of pearl, nacre, or rose, oro, perle de nacre, prince of monaco, Princess, princess charlene of monaco, princesse, rose gold, strap, stunning, timepiece, tocante, watch, white, woman, women.